After the sudden death of her father, 8-year-old Simone shares a secret with her mother Dawn. She’s convinced her father speaks to her through the leaves of her favourite tree and he’s come back to protect them. 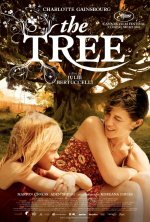 But the new bond between mother and daughter is threatened when Dawn starts a relationship with George, the plumber, called in to remove the tree’s troublesome roots.